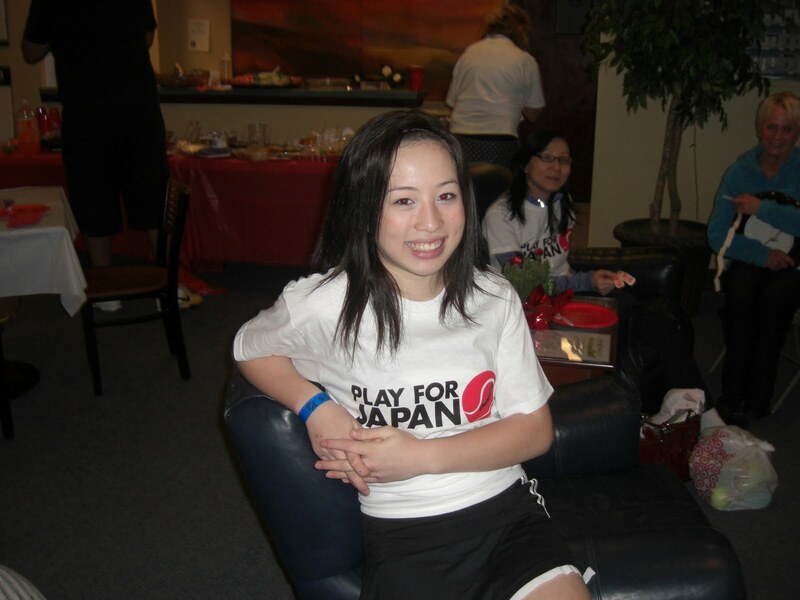 The Raleigh Hills-based Portland Athletic Club (PAC) held a "Play for Japan" fundraiser, tennis social, and potluck luncheon on Wednesday, March 23, to raise money for the earthquake and tsunami victims in Japan. The event combined the love of tennis with the desire to help a country in need. The fundraiser brought over 40 people to the club and raised over $1,500 for Mercy Corps! During the fundraiser, tennis drills and games were played, T-shirts were sold, raffle tickets were purchased, and an auction was held, with all of the proceeds going directly to Mercy Corps. 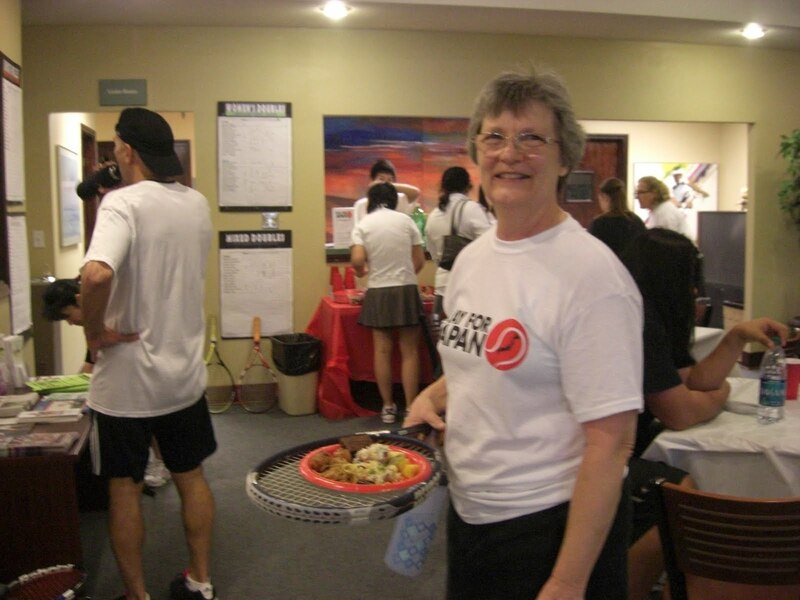 PAC tennis teaching professionals, Maureen Harwood (director of "Play for Japan") and Anthony Blackburn (also tennis professional at Nike World Headquarters), volunteered their time to run on-court tennis activities for the participants. As it was a potluck, many players brought delicious Japanese dishes to share with everyone. Some of the participants even had their 15 seconds of fame! KPTV Fox Channel 12 News shot a quick 30 second clip of the event, which aired at 4:00 p.m and 5:00 p.m. on Wednesday evening. To view this video, go to http://www.kptv.com/local-video/index.html, then type in the Search box, "Tennis Players Hit Court for Fundraiser." To look at some photos taken at the fundraiser, see below. Harwood, Blackburn, and the rest of the Portland Athletic Club staff would like to thank all those who donated and attended this fundraiser to make the event such a success! To learn more about the event, contact Portland Athletic Club at 503-292-2649, or e-mail Maureen Harwood (slicequeen@gmail.com) or Alyssa Morrison (alyssa@portlandtennisleague.com). Photos from "Play for Japan"
When: Today, Wednesday, March 23, from 12:00-2:30 p.m.
Help the victims of Japan while playing the sport you love! Or, just stop by for the fundraiser and potluck! 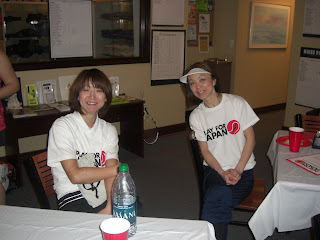 PORTLAND, Oregon (March 21, 2011) — The Portland Athletic Club (PAC), located in the Raleigh Hills district, is hosting a “Play for Japan” tennis fundraiser and potluck luncheon on Wednesday, March 23 from 12:00-2:30 p.m. The cost is $15 per person, with all the proceeds going to Mercy Corps to help aid earthquake and tsunami victims in Japan. This will be a tennis social fundraiser, with active games and drills for any age and skill level. Participants are asked to bring food or drink to share for the potluck portion of the event. PAC would appreciate participants signing up in advance by calling 503-292-2649, or by e-mailing Alyssa Morrison, PAC tennis event coordinator, at alyssa@portlandtennisleague.com. However, walk-ins are welcome. Tennis fans that cannot attend the event, but would like to support the cause, are welcome to make a donation through the Portland Athletic Club. Please make checks payable to the Portland Athletic Club. Checks may be sent to 5803 SW Beaverton-Hillsdale, Portland, OR 97221. PORTLAND, Oregon (March 9, 2011) – Alex Johnson and Madeline Samkutty, both 14, captured the Boy’s and Girl’s Singles titles in the High School Kick-Off Tennis Tournament, held at the Portland Athletic Club (PAC) last weekend, March 4-6. 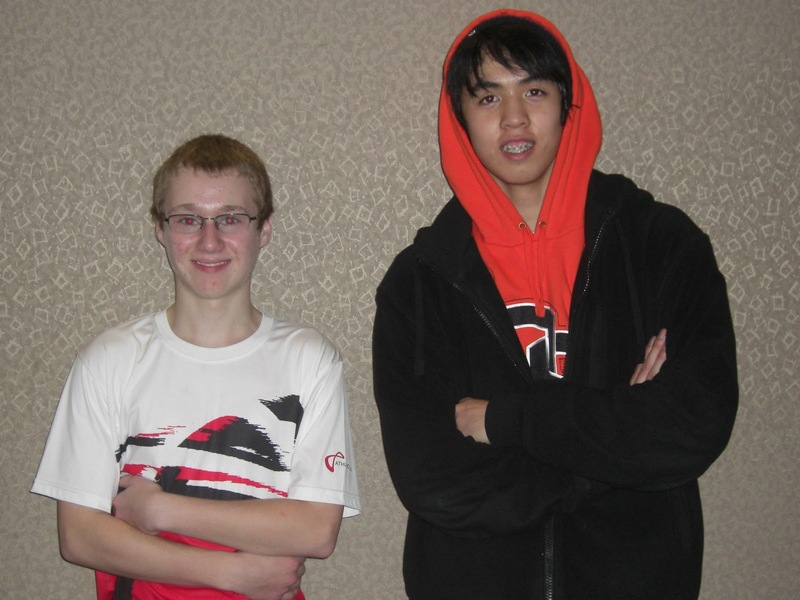 In the Boy’s Finals, Johnson, a member of PAC, defeated fellow PAC member Jason Nguyen, 17, in two sets. On the girl’s side, Samkutty prevailed in a gripping three-set semifinal match against seventeen-year-old Jennifer Kearns en route to the finals, where she topped Arielle Bradford, 18. Fifteen-year-old PAC member David Govshtein was the Boy’s Singles Consolation winner, while Christina Truong, a senior at Benson High School, took the Girl’s Singles Consolation round. According to tournament coordinator, PAC’s Alyssa Morrison, it was a jam-packed three days of youth tennis with more than 50 high school players from all over the Portland and surrounding areas participating. Since this was a non-sanctioned USTA event, coaching was allowed, and many took advantage of the opportunity. 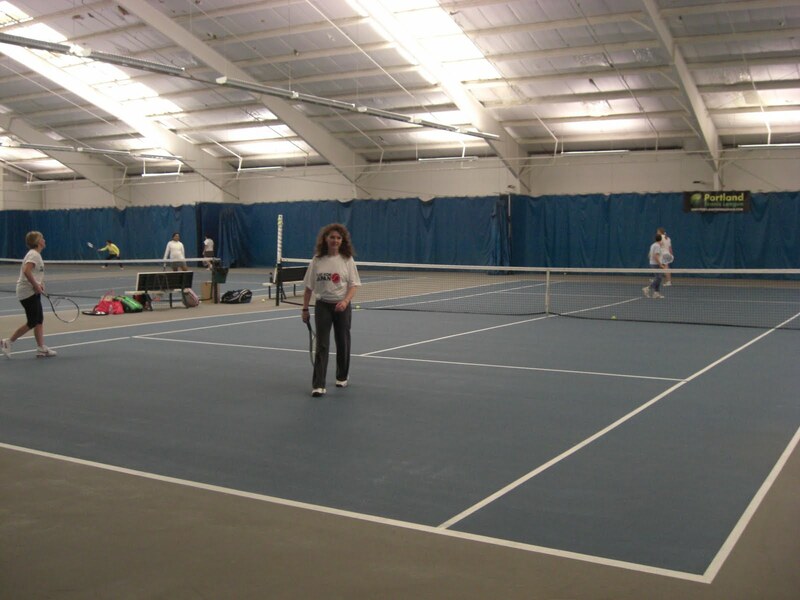 As one of the largest pre-season tennis tournaments in the Portland area, this event offered a great preview of the competition that coaches, players, and teams can expect during the upcoming high school tennis season. To acquire the full tournament results, visit www.portlandathleticclub.net/tennis_academy.asp or call the Portland Athletic Club at 503-292-2649. 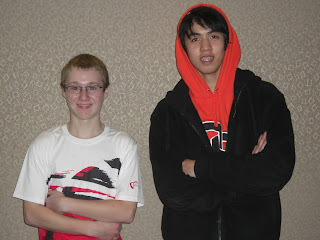 Alex Johnson, left, and Jason Nguyen were first and second place finishers in the Boy’s Singles draw. Both are members of the Portland Athletic Club, host of the High School Kick-Off Tennis Tournament.